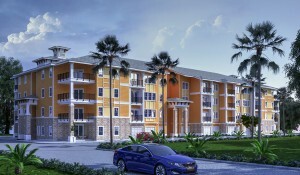 Although the principals are experienced in real estate industry, our first project will be a 326 units Class A, gated Apartment community known as Champions Vue Apartments, on US 27 next to Champions Gate, Florida. The project itself will be the first phase of a 38 acre Town center development currently known as Champions Plaza. The second phase of this project will consist of a commercial/retail development consisting of upscale Grocer/Anchor, inline retail, restaurants, outparcels and 120 unit hotel pad. We expect the Phase 2 to be developed within the 12 months after construction of the apartments is initiated. The Towncenter is envisioned as a pedestrian friendly, walkable community that would increase the convenience and greatly enhance the resident’s quality of life.